Software testing has traditionally been the job of Quality Assurance teams, but as organizations realize the inherent value of a seamless online user experience, the idea of testing has also proven invaluable to other roles. As marketing professionals evaluate the effectiveness of their strategies, tactics, and content, it’s no longer enough to blindly publish landing pages, design websites, and send emails. By performing the following tests, marketers of all levels and ensure that the intent of their messaging matches the execution. A/B Testing – Sometimes, it can seem like communicating with prospects can be a shot in the dark. A/B testing lets you test two scenarios at once to determine which your audience responds to better. The is often done with on web page or app to better understand how you’re communicating with your prospects. For example, if you were unsure what to write for the header on your website, you could A/B test two versions against each other to gain insights into what resonates best to capture leads and use that data choose A or B. In addition, analyzing the results of your test helps you make informed decisions that will convert leads in the future, such as the next time you have to write a page heading. Optimizely is the deluxe A/B testing tool, allowing you to go into your page and live edit through the dashboard to make tests. Optimizely keeps all your data organized, and includes value-add features such as retroactive filtering, intuitive stats engine, optimized targeting options, and saved audiences. For teams that are looking for something that will fill their more basic A/B testing needs, VWO is a comparable option. Responsive Design Testing – Did you know that having a responsive website improves your SEO? We bet your ears just perked up. 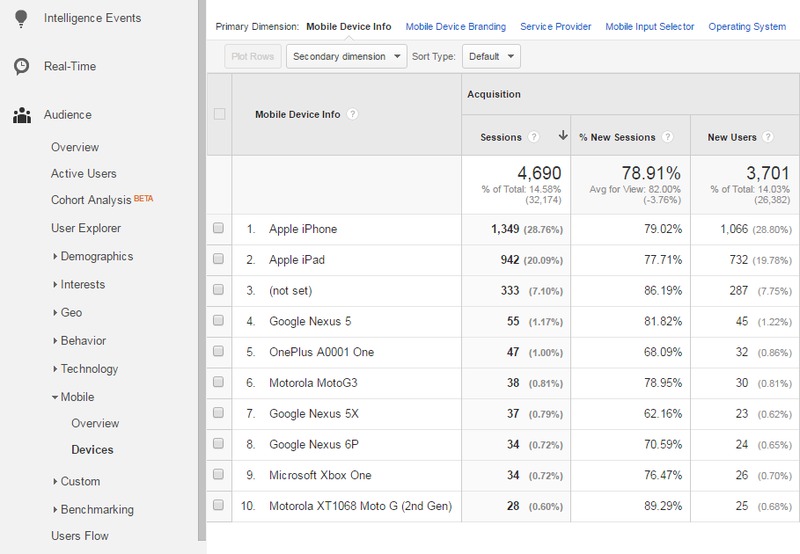 It’s true — Google prefers sites that are responsive. What does this mean for you? Basically, you need to make sure that your site works not only on desktop browsers but also on other screen sizes such as mobile and tablets. It’s not surprising the mobile use is increasing year after year, not to mention exceeding online desktop activity. While the thought of mobile-friendliness should be a no-brainer, it may not always fall on the marketer’s plate to design responsively. However, when it has a stake in your page ranking, it becomes a whole other story. 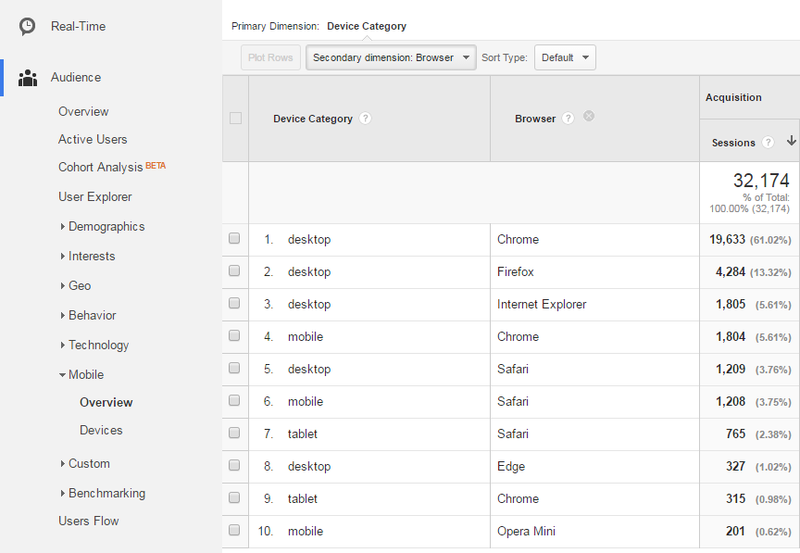 Tools that provide a device lab and visual testing capabilities like CrossBrowserTesting can help give you a look at what your website looks like on those devices you don’t have access to. This is a fairly easy way to guarantee the compatibility of your site with the most popular search engine so you can make sure all that backlinking work you’ve been doing isn’t for nothing. Email Testing – If you’re slaving over email marketing but keep seeing your open rates drop, it might not be that your copy is lacking as it is as much a lack of testing. Just like you need to make sure your website looks good on different devices, you also need to make sure your emails look good on different email servers. Unfortunately engaging email messaging isn’t always enough when Gmail and Outlook are displaying content differently — unless you stick to HTML. Litmus provides a platform that lets you build, edit, and preview your emails on over 90 different email clients (did you even know there were that many?) because the only thing worse than an email that goes out with a typo is an email that doesn’t show up at all at all. Speaking of errors, Litmus does a crawl of your email to make sure that links work, images render, and content loads so you can feel confident in every email you send out. By using a tool like Litmus, you can stop leaving your emails up to chance and spot discrepancies before you send them out to your 100,000 count subscriber list. User Testing – What’s a better method to getting feedback on your digital experience than asking the very people whose opinions you care about most — your users? User testing is an unparalleled way to get feedback from real people on the usability of your application. When you have a website, for example, it can be difficult to put yourself in your users’ shoes and think about their needs outside of how you would want the application to look and work. User testing lets you gain insight into the user experience of someone who may not have been on your app before, and platforms like UserTesting provide you with videos of those real people giving their honest feedback on your website, mobile app, or another project of your choosing. By getting your product in front of your target audience, you can get more accurate insight into why your users perform certain actions or want things a certain way. Performance Testing – Performance testing is fairly underrated in the marketing world, but it could be what makes or breaks the success of your application. Why spend all your time making the perfect graphics, designing the perfect layout, and writing the perfect copy if your website is going to take forever to load or crash when too many people visit? When 51 percent of online shoppers in the US say that site slowness is the top reason they’d abandon a purchase and a 2-second delay in load time during a transaction result in abandonment rates of up to 87 percent, according to Radware. It’s not just your QA team’s problem to test for performance. In fact, it’s in your best interest to see your marketing efforts succeed. Leveraging tools like LoadComplete and LoadUI will help you determine breakpoints in your application so you can get a better understanding of how fast it is and how much it can handle. Trust us — around the holidays, performance testing is a lifesaver. Testing is all about checking the quality of your application, but it shouldn’t be limited to QA teams. With plenty of tools on the market, it’s becoming easier for marketers to conduct their own tests in order to optimize websites, landing pages, emails, and other content. By including testing in your marketing, you can know that your efforts are reaching a higher level of quality and trust that your messages are getting across to more users each time they interact with you online. This week, our Designer Eli Brumley and Developer John Reese joined Chris Coyier and Dave Rupert on the Shop Talk Show, a live podcast about front-end web design, development, and UX. “We’re going to be talking about something a lot of us should be doing a heck of a lot more of on our website, but shamefully, don’t,” said Chris. Of course, that something is cross-browser testing. Fortunately, Eli and John have a lot to say on the subject, since they do it every day. And, because of their different roles within CrossBrowserTesting, they were able to speak about how we use the platform’s features for both front-end and back-end development. So, what is there to say about cross-browser testing? A lot, actually. Eli touches on the importance of live and visual testing. Though the future is going towards automation and rapid visual testing, manual testing is still critical for going through and manually spot-checking or debugging, as well as testing usability. You can’t bring up test automation without mentioning Selenium, which is why John gives an introduction of what Selenium is as well as how run tests in multiple browsers. Thinking more broadly about the need for cross-browser testing, Eli explained that every browser is different with thousands of resolutions on thousands of devices, which can be overwhelming. Knowing what your customers are on and using tools like CrossBrowserTesting allows you to see whether or not your web application is optimized for every user experience, which is different than just looking the same on every browser. We’re not going to give it all away, though. To learn more about automating, debugging, and reaching “testing Nirvana”, listen to the full podcast below. When 57 percent of small businesses and 51 percent of tech companies outsource website and graphic design, it’s clear that the service is of high demand for hiring. However, if you’re looking to hire someone to handle all things web design, there’s a good chance it’s because no one at your company knows much about web design. Just because you know how to hire a top-notch Ops engineer or a tester who’s the perfect culture fit doesn’t mean that handing your website over to an agency will be just as easy. So, what should you look for when you go to hire a web design company? These tips will help you understand what to look for, what to consider, and what to ask before making a final decision. First things first — you’ll need to ask the big ‘why.’ What is the business goal of your website redesign? If you don’t have that answer you’ll need to figure that out before you do anything else. Your goal may be to increase sales by 10 percent with a newly updated website. You can further break down that goal into the number of visitors and leads you will need to increase sales by percent. Next, you need to know if you need to build a website from scratch or if you’re looking for a redesign. Does your startup need to launch a homepage that includes navigation with a product, about us, and blog page? Or, are you looking to revamp your current website and make it more mobile-friendly? This distinction will be important when it comes time to hire a web design company and relay your vision. Either way, you’ll want to be able to communicate how many pages you need to be created or what you want to be changed. You should ideally with some research to find a few examples of websites you like that align with what you’re looking for. Look around for the name of the designer or the company who made the site, or send a quick email to someone from the organization to inquire about their information and ask their thoughts about working with them. You’ll also want to save the websites you’re interested in so you can reference them when it comes time to work with your chosen designer. Once you find a company, you’ll want to check out their full portfolio in order to decide whether or not they can do what you’re looking for. You may also want to keep in mind websites, features, and pages that you don’t like so your vision is clear and communicative when you begin the process of choosing a website design company. Once you have a running list of companies you’re going to have to analyze their strengths and weaknesses a little closer to assess which is the best fit to do the job. You don’t want a web designer who builds a site and leaves it alone for your users to find out whether it works or not once it’s “done”. If you’re investing in a design firm, they should have an immersive testing and QA process in place. Do they evaluate the functionality of different features and perform usability testing? Do they run the website on different browsers and devices once the product is finished? Pay individual attention to UI/UX details. Is it easy to use and navigate? Is it visually pleasing? Do they have a solid record for optimizing responsive design? The usability and user experience of your own website should be priorities of your website design. Paying for a website that’s not properly tested will just mean you have to invest more time and money into that component of the process. Instead, a good web design company will include in-depth QA and follow-up support. For example, LyntonWeb is an agency that focuses on designing modern websites that work to achieve your business goals by using a well-defined website design process to make all aspects of a website redesign are fully addressed. What’s included in the service? – Maybe you think you’re just looking for a company to design your website, but you probably don’t realize there’s a lot more to it than that. Hiring a company that has an extensive knowledge around marketing tactics and SEO strategy, who can come up with a plan for content will prove to be of high value. Do you have any case studies or customer testimonials I can refer to? A good company is more than just an impressive portfolio. You want an understanding of how well they work with their customers straight from the source. If a website looks nice, but it isn’t what the customer wanted or didn’t fulfill all requests, you might want to rethink working with that agency. Do you have any hard figures to back up some of your results? Did site traffic increase? 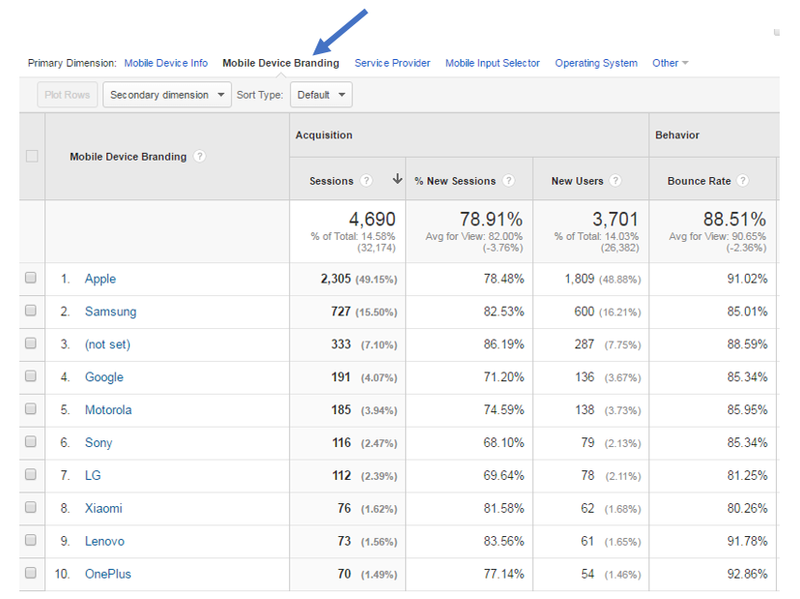 Did bounce rate decrease? Have sessions gotten longer or shorter? Analytics will help you understand whether the company’s redesign helped meet inbound marketing goals. What does the company look like? How many people work at the company? How many people work on each project? What are the different roles? Do most people work remote or in office? Who will be managing this project? You want to make sure you’re working with a team whose culture and mission aligns with your own. What’s the design, development, and implementation process? Have your potential hire walk you through their design plan so you can familiarize yourself with their ideas. Where do they start? How will they come up with a design, implement it, and maintain it? What about afterward? Will your team have access to content? Will the company keep up with website maintenance? You want to make sure everyone is on the same page. What’s the communication like between the client and the company? What information do they gather before, during, and after design to ensure they’ll be able to fulfill your vision? You want the agency to check in with your needs and make sure they’re on track to complete all requirements, not just take a rough idea and run with it with no communication. You should both be working together throughout the process to establish goals, wishes, and requirements — that way you won’t run into the awkward dilemma of disliking the first design. What’s your experience with responsive design and how do you ensure quality? Again, if the company just hands you a finished design with no testing, you will quickly experience issues. Make sure that whoever you hire knows how to design a responsive website, test it across browsers, and ensure it’s fully-functional before launching it. Choosing a web design company can be intimidating, but it doesn’t have to be a shot in the dark. In fact, if you take the proper steps, it should be pretty clear which one is the right choice for your brand, company, and team. By assessing what you want your website to look like, researching your options, and communicating with the designers throughout the process, you’re almost guaranteed work with a great company who will give you a website you’re happy with.